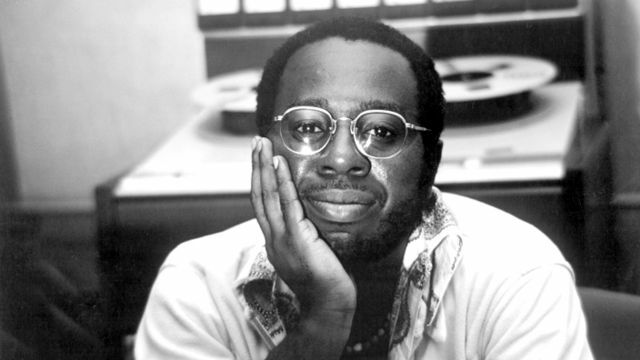 Curtis Lee Mayfield was an exemplary soul, R&B and funk singer, multi-instrumentalist, songwriter and record producer. Many across the globe most recognize him for writing, producing and singing on the soundtrack for Super Fly, a classic Blaxploitation film in which he appears. The soundtrack is one of the first to generate more revenue than its corresponding film. Mayfield’s extraordinary life and legacy earned him the Grammy Legend Award in 1994 and the Grammy Lifetime Achievement Award in 1995. He’s a double inductee into The Rock and Roll Hall of Fame, inducted as a member of The Impressions in 1991 and as a solo artist in 1999. Mayfield is also a double inductee into the Grammy Hall of Fame. Read the rest of this article at SoulTrain.com. When you arrive at the site, “Like” it, tweet it, and share it. Leave a comment on SoulTrain.com about the article.